Rockstar Productions is an established and respected production company. Your “One Stop Shop” and full service event production company that strives to provide excellence with a very competitive pricing structure giving our customers the best value in the industry. Our comprehensive production services include PA Sound, Stage/effect and theme Lighting, Video, AV production, back-line and staging. We specialise in both indoor and outdoor events, both small and large scale. 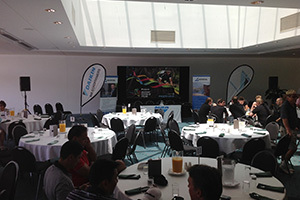 If you are planning, designing or producing a live event, we are your team to help you execute and deliver excellence. Our live production and event experience started during the 80’s in California. Offering our customers solutions and respect along with great service comes easy for us as “we love what we do”. 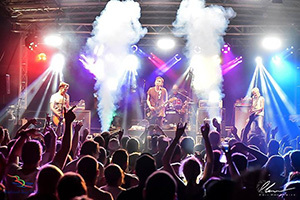 Customer referrals have helped Rockstar Productions grow from doing small events to successfully meeting the challenges running multiple events at the same time. Our repeat customer base includes, City Councils, Corporate events and Conference organisers, Sporting events, International and Australian acts and Tribute bands, Entertainment agencies, Cultural events, Schools, Churches and private functions. The sound, lighting and AV equipment we utilise is upgraded through continual investment in the latest technology. This commitment along with our ongoing expertise and efficiencies, ensures the highest value for our customers. This translates into impressive events with lower costs passed onto our clients. Rockstar Productions is large enough to complete large events with successful outcomes and small enough to give personalised service with focus, attention to detail on all events, small or large. 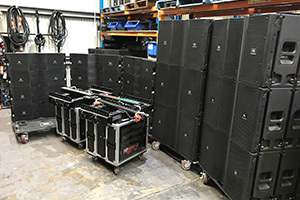 Our team of specialised engineers and operators have the professionalism, experience and can-do attitude to give your event and audience the best possible live production experience. A solid reputation in the industry providing excellence in event services ensures our customers get the best possible event experience. We would welcome the opportunity to discuss your event with you and provide a proposal for your consideration. New Audio and Lighting product Dry Hire & Sales, Professional Audio and Lighting Installations. Audio and Lighting maintenance and repair. Pro Audio, AV & Lighting Consultation & training services. Full PA Sound, Lighting, Backline and Staging services. Events we work on: Live Music & Cultural festivals with multistage capability, Concert performances for National and International Touring Artists. Original Independent acts. DJ/Rave events and Tribute bands. Complete or partial production event services delivered to professional standards. Complete or partial production including full coordination of all elements for the most complex sporting events. 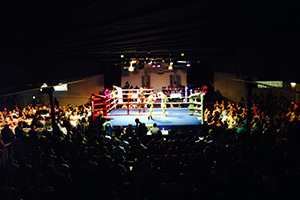 Events we work on: MMA & UFC style events, Muay Thai and Boxing, Supercross motorcycles, Soccer, Football, Beach volleyball and Surfing competitions. As I was in the music industry on a high level for a number of years, I expect quality. We have been using Rockstar Productions for the past 6 years on all of our MMA events and I would never use anyone else. Rockstar consistently delivers the goods creating the hi-impact vibe that is required for our events. Their dedication and effort in over-delivering to our specs is appreciated and I personally would recommend them to anyone wanting a 1st class A/V production. Professionalism, quality and price are second to none! I would like to state the Gig Factory’s association with Rockstar Productions goes back nearly 5 years now. During this period, the Gig Factory have utilised Rock Star Productions for virtually all our Tribute bands and concert production needs. We’ve never had to go anywhere else. Copyright 2018 Rockstar Productions. All Rights Reserved | Built by Accentuate I.T.